B’tselem documents casualties and injuries due to Israeli live fire at the Gaza perimeter fence. The health system in Gaza cannot handle another war. In early November, Gaza saw one of the worst firefights since 2014, after Israeli special forces bungled a covert operation inside Gaza. If the Egyptian-brokered ceasefire does not hold, Palestinian health officials warn that a new war would lead to the collapse of Gaza’s already-debilitated medical infrastructure. Gazan hospitals are full of patients still being treated for injuries following violence in which Israeli snipers shot thousands of demonstrators during the Great Return March, which is overwhelming Gazan hospitals to the point where hundreds of patients were being treated in corridors and on the floor. A swine flu outbreak in early November has challenged Gazan health services, because no vaccine supplies are available for the virus in Gaza, neither in private practices, nor within the Health Ministry’s stocks. Of 143 medications in the Health Ministry’s formulary, nearly 100 are out of stock, with 16 more expected to be used up in the next month. There is also a shortage of specialists. 12 government-run hospitals in Gaza employ about 2,000 doctors, of whom 800 are specialists. The political division between the Fatah-run Palestinian Authority and the Hamas government in Gaza has caused young doctors to avoid joining government hospitals. The largest hospital in the Gaza Strip, Al-Shifa, performs 50 surgeries a day, and because of understaffing, surgeons have to perform 8 surgeries in a single day (much higher than surgeons in other countries). And despite this rate of surgeries, thousands of people are on waiting lists. Excellent graphic from OCHA documenting the unprecedented humanitarian crisis in Gaza, impacting the livelihoods and access to essential services by its two million residents. This crisis has been driven by over 11 years of an Israeli blockade and an unsolved internal Palestinian divide, exacerbated since March 2018 by the massive increase in Palestinian casualties in the context of demonstrations taking place near Israel’s perimeter fence, as well as limited escalations in hostilities. The following indicators were identified by the Humanitarian Country Team (HCT) to monitor the crisis, trigger humanitarian action and prevent further deterioration. Prosthetic limb workshop struggles in Gaza. With all of the Israeli shootings to the lower limbs of Palestinian protesters during the weekly March of Return, a prosthetic limb workshop is struggling to deal with the needs of the injured. NPR also reported on Gaza’s prosthetic leg factory. Surgeons in Gaza are overwhelmed with the number of injuries, particularly to the lower limbs. The Israeli military policy to shoot to maim, with half of injuries occurring in the lower limbs of protesters and bystanders during the Great March of Return, has created an orthopedic crisis with exhausted personnel and shortages of surgical supplies. Democracy Now reports on November assault on Gaza. In November, Israel launched its heaviest airstrikes on the region since 2014, targeting scores of buildings, including the TV station Al-Aqsa TV and killing seven people. Israeli incursions into Gaza are very common though underreported. There have been 70 known attacks, ground incursions and operations in 2018 and an unknown number of covert operations. The terror of the Israeli air attacks, up close and personal. This article describes the human cost of Israeli attacks in Gaza in a very personal manner through the voices and experiences of civilians living in the Strip. Author Sandy Tolan discusses the worsening water crisis in Gaza and the risks of water born epidemics that are affecting the most vulnerable, especially children. Two thirds of Gazans rely on a network of unregulated water trucks delivering desalinated water of dubious quality. He reminds us that raw sewage flowing into the Mediterranean knows no borders. Al Jazeera also reports on the water catastrophe, the rise of gastroenteritis, typhoid fever, childhood stunting, and blue baby syndrome. The Palestinian Neuroscience Initiative (PNI) at Al-Quds University, featured in a recent article in Nature, represents an effort to advance research, training, and care in the neurosciences under the challenging conditions of occupation. Founded in 2009, and with funding from international sources (including the U.S. National Institutes of Health), PNI has trained more than 150 Palestinian students and researchers and helped more than 5000 Palestinian patients with psychiatric disorders. One project concerns the biology of depression, which has a prevalence of around 30% in the Palestinian territories, one of the highest rates in the world. The authors protest the recent decision by the US government to withdraw funding of up to $25 million from the East Jerusalem Hospital Network (as part of a larger cancellation of Palestinian aid by the US). The authors note that the withdrawal decision was sudden and politically motivated. It will affect the 6 hospitals in the network, which primarily provide tertiary referral care for Palestinians in the West Bank and Gaza, for services which the Palestinian Authority’s Health Ministry is unable to provide, including cancer care, cardiac and eye surgeries, neonatal intensive care, pediatric dialysis, and pediatric rehabilitation. The Palestinian government decided to provide Palestinian hospitals in East Jerusalem with $12.5 million to compensate for funds the United States had cancelled. In September, the US decided to cancel $20 million in funds to Palestinian hospitals in East Jerusalem weeks after it had also announced that it will cut all funds to the United Nations Relied and Aid Agency (UNRWA) and the cut of $200 million for economic and social projects for the Palestinians. People’s Health Assembly stands with Palestine. From November 15 – 19, in Bangladesh, approximately 1000 health care organizers and activist met in the People’s Health Assembly to discuss how to provide and organize for the health of the people and that of the planet. Representatives from around the globe shared their experiences of how the International Monetary Fund (IMF) and the World Bank recommended prescriptions of austerity and structural adjustment policies that in fact worsened the health of the people. In addition, they discussed how war and civil conflict impacted peoples’ health focusing on Palestine and the Rohingya people in Bangladesh. Shatha Odeh, from the Health Work Committees of Palestine, discussed how the Israeli occupation, from the Nakba on, was the main determinant of the health of Palestinians. Her presentation emphasized the role of land confiscation, expansion of illegal settlements, checkpoints, the wall, Israeli control over natural resources, shootings, killings, indiscriminate arrests, the siege on Gaza and movement restrictions have been brutal violations of basic human rights, affecting the Palestinians’ right to health. She highlighted the crisis in Gaza caused by the destruction of the water and electrical infrastructure and its impact on health. Occupation 365 – Updates from the West Bank. This infographic, updated monthly, gives statistics by region on arrests, raids, and “flying” checkpoints in the Occupied Territories – a measure of the impact of Israeli policies on Palestinians’ daily life. A recent WHO report looked at the impact of the decade-long land, sea, and air blockade on Gazans’ health. In addition to effects on development and shortages of essential medical supplies, the blockade and associated security, political and economic barriers combine to cause severe restrictions on Gazans’ access to care. In 2017, only 54% of applications (from 12,153 patients seeking care primarily for cancer) were approved in time for them to be able to attend their medical appointments, the lowest approval rate since 2012 (and for comparison, patients living in the West Bank who sought access to care in East Jerusalem or in Israel had an 88% approval rate). The problem is made worse by recent severe cutbacks in US support. This editorial makes the case that the international community shares responsibility for improving the inexcusable state of affairs for the health of Palestinians. WHO reports on the Right to Health in the OPT as a fundamental human right. WHO published its report on the Right to Health in the OPT as defined by access to high quality medical care, adequate food, water, and housing. The report focuses on restrictions to access due to Israel’s strict permitting system and direct attacks on health workers and facilities as key issues. The right to health is recognized as a fundamental human right that is ultimately the responsibility of the occupying power. Addameer releases is Annual Violations Report for 2017. 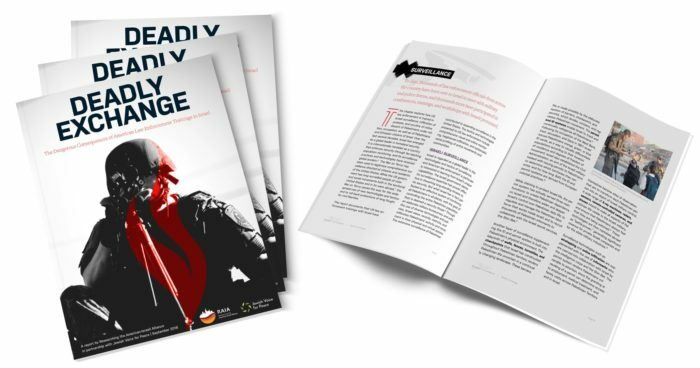 Addameer, the Palestinian prisoner support and advocacy organization maintains and publishes comprehensive data about all aspects of Palestinian political prisoners. The Addameer Annual Violations Report 2017 covers the arrest, detainment and legal proceedings utilized by Israeli forces against Palestinians. Violations of human rights and international law are rampant and systemic. On November 4, Prime Minister Benjamin Netanyahu supported legislation that would make it easier for Israeli courts to issue death sentences against Palestinians accused of carrying out ‘terrorist’ acts. The ‘Death Penalty’ bill has been pushed by the Israel Beiteinu party, which is led by the recently resigned Defense Minister Avigdor Lieberman. In July 2015, Lieberman submitted a draft proposal that was opposed by Netanyahu. However, since then, the political mood in Israel has shifted to even more hawkish positions with Netanyahu ultimately adopting Lieberman’s. Liberman had made support for the Death Penalty one of his main conditions before joining Netanyahu’s coalition. The Death Penalty bill is no exception. Israeli parents protest arrests of Palestinian children in central Tel Aviv. On the International Day for the Rights of the Child, “Parents Against Child Arrests,” a group of Israeli parents, rallied in central Tel Aviv to raise awareness about the conditions of Palestinian minors in Israeli custody. The Israeli media are full of stories of mass arrests of Palestinians in the occupied territories, but the Israeli mainstream rarely hears about Palestinian children who are routinely rounded up from their beds in the middle of the night and taken into detention. According to statistics provided to B’Tselem by the Israel Prison Service, as of the end of August 2018, 239 Palestinian minors were being held as “security prisoners” in Israeli jails, including three in administrative detention. (Under administrative detention, detainees are held indefinitely without charge or trial — and without any way to defend themselves — on the basis of secret evidence. Such orders can be renewed indefinitely for up to six months at a time). While undergoing these detentions, children are subjected to nighttime arrests without alerting the parents, not being able to meet with lawyers, sleep prevention, withholding food, interrogations after hours of being held, and signing confessions in Hebrew, among others. According to Nirith Ben-Horin, a social worker and one of the organizers of the rally, “I think the most absurd aspect is the way minors are released from custody. Many times they are released in the middle of the night at a checkpoint in the middle of nowhere. They are forced to walk kilometers by themselves, scared to death.” The majority of the children are arrested for stone throwing, and taking part in demonstrations and disturbances. Often, minors are arrested in order to get information on others or on family members. 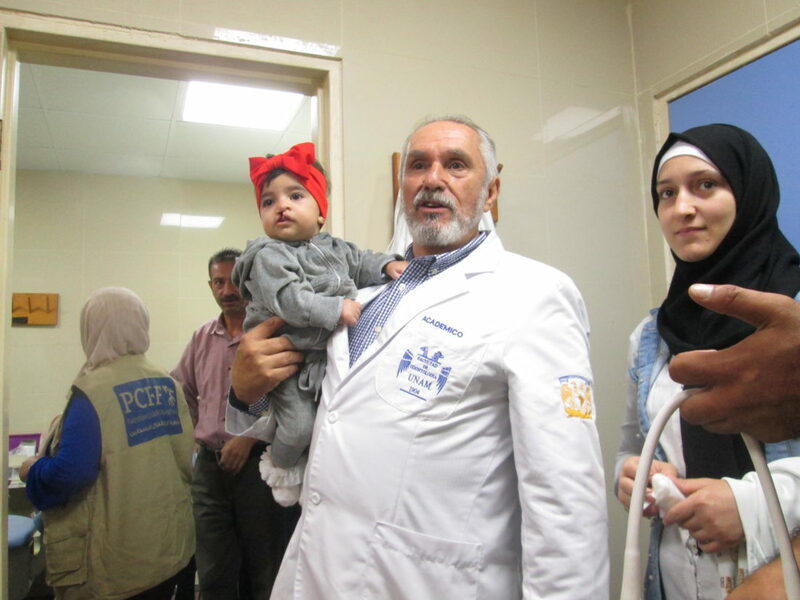 A good discussion of the Lancet Palestinian Health Alliance and its political ramifications. Infiltrating every area of public life in a bid to control the global discourse may well shield Israel’s crimes temporarily – but in the long run, it will only reveal Israel as the villain, including in the realm of health care.